Keep Calm & Focused: Do you ever feel like you woke up already behind? You're stressed out before your feet even hit the floor. 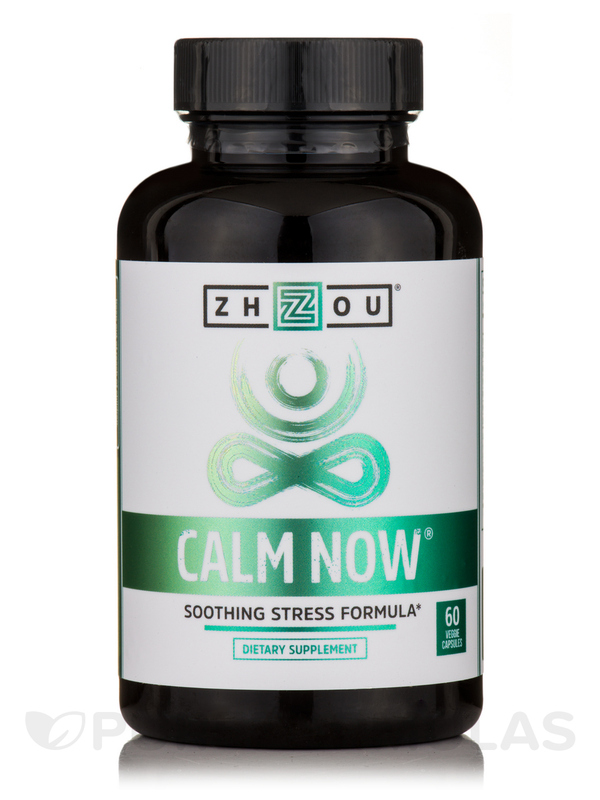 Relieve your worries‚ harness a positive mood‚ and get focused with Calm Now. Whether you've got a busy schedule ahead at home‚ the classroom‚ or the office‚ we're here to help. 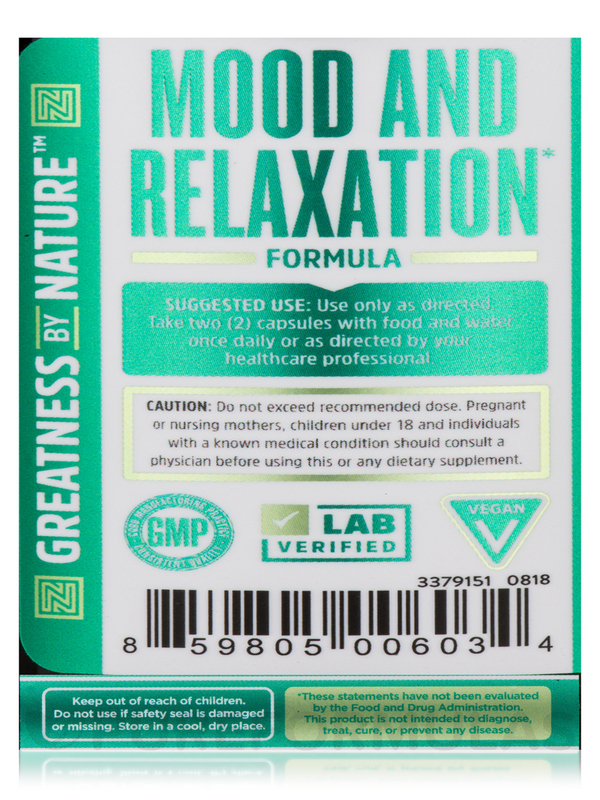 Stay Positive & Social: Other so-called 'chill pills' and supplements can make you sleepy‚ but we know you need to keep calm and stay focused to succeed. 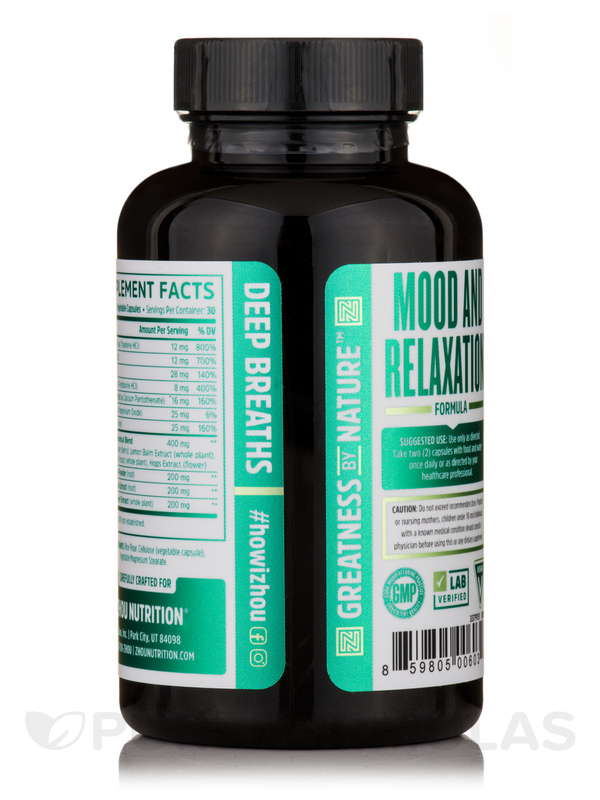 Enjoy a positive mood and be the ultimate version of yourself—relaxed‚ focused‚ and positive. 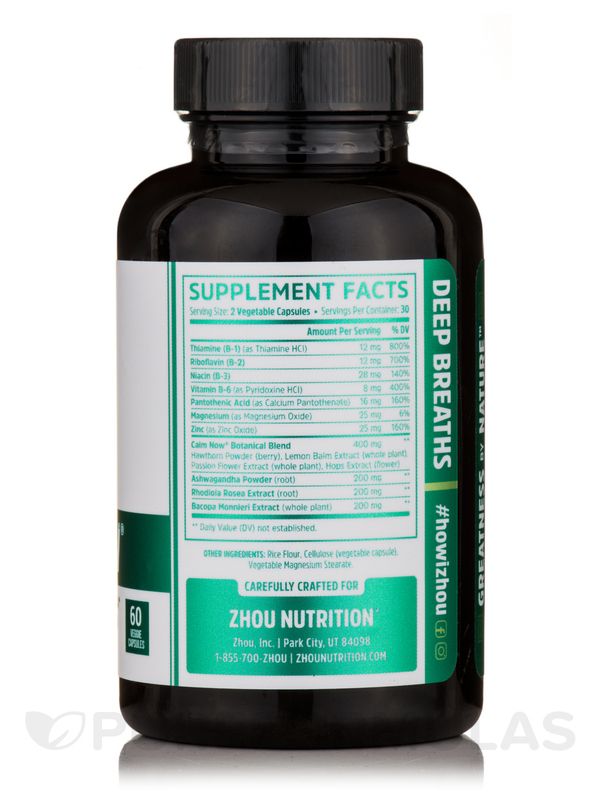 Expertly Crafted Formula: Zhou Nutrition work with a diverse team of experts from around the world to bring a unique combination of both Eastern herbal tradition and modern research. 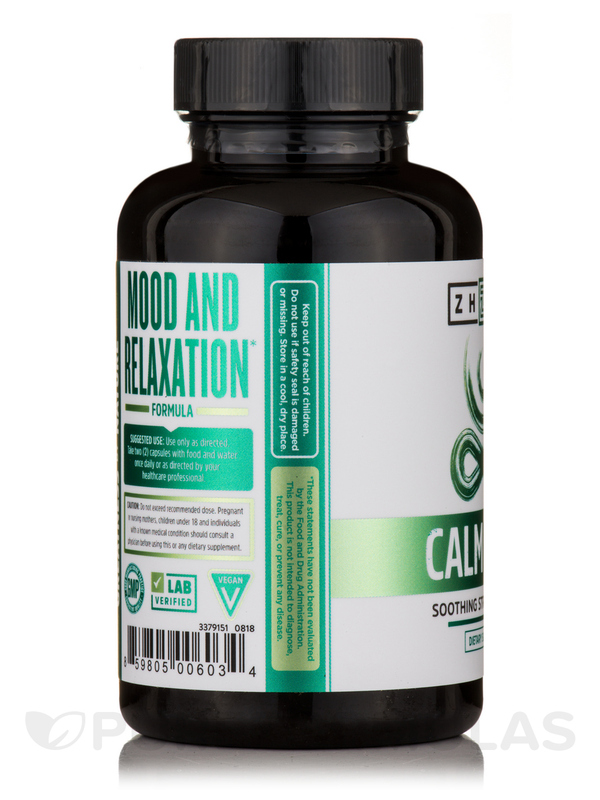 As a result‚ Calm Now contains just the right amount of each herbal ingredient for optimal results. 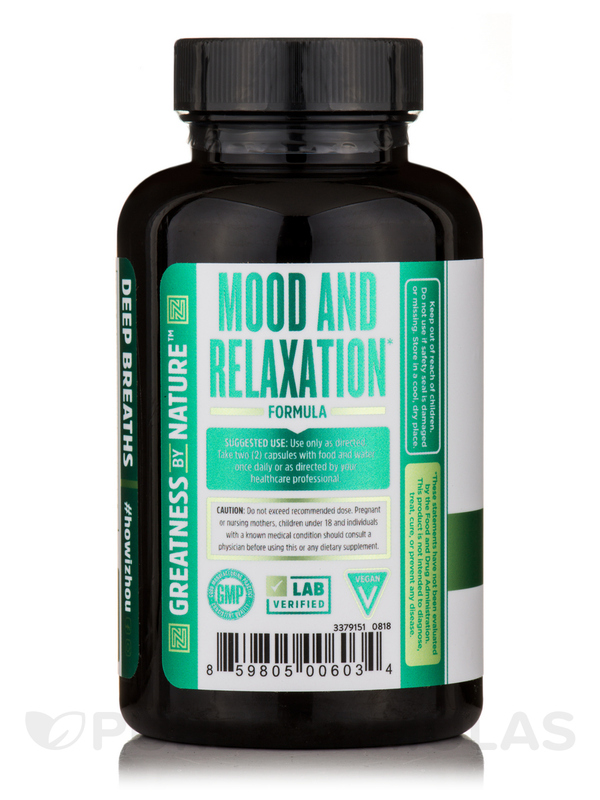 Ingredients include ashwagandha‚ rhodiola rose‚ passion flower‚ Bacopa monnieri‚ hawthorn berry‚ lemon balm‚ and more. Hawthorn powder (berry)‚ lemon balm extract (whole plant)‚ passionflower extract (whole plant)‚ hops extract (flower). 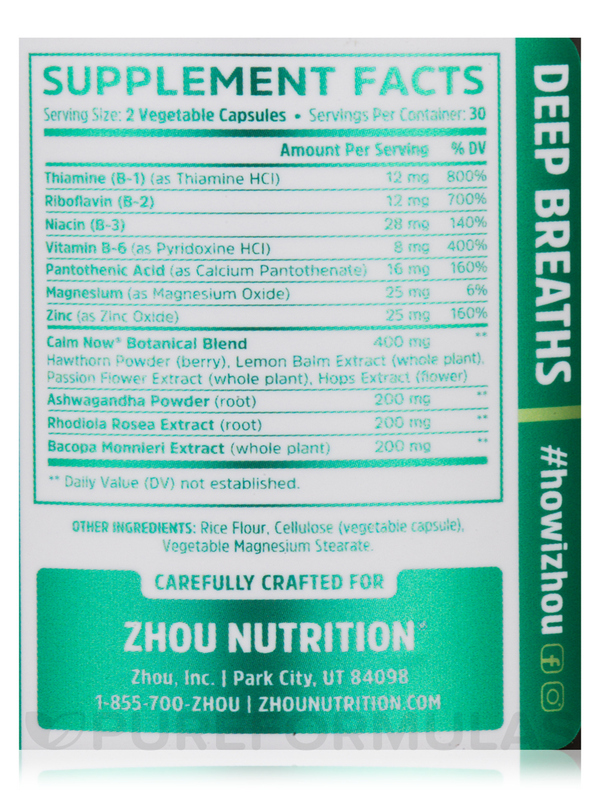 Other Ingredients: Rice flour‚ cellulose (vegetable capsule)‚ vegetable magnesium stearate. GMP / Vegan / Vegetarian. Take two (2) capsules with food and water once daily or as directed by your healthcare professional.